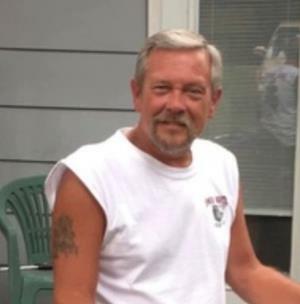 Todd Darrin Burns, 54, of Cleveland, departed this life on Friday, January 18, 2019, at Tennova Healthcare in Cleveland. Born on July 2, 1964, to the late Joe E. and Crystal Garner Burns, he was a native and lifelong resident of Bradley County. Todd worked with Steve Willliams Construction for over 20 years and was most recently was employed with Martin Marietta Construction. In addition to his parents, he was preceded in death by his wife, gale Nolen Burns. He is survived by daughter, Heather (Stacy) Bowman; brother, Joe Mark (Wanda) Burns; and Sheree Withington, all of Cleveland. A Celebration of Life and Home going for Todd Burns will be held at 11 a.m. on Wednesday, Jan. 23, at the chapel of Serenity Funeral Home with Brother David Carringer officiating. Interment will follow in Hilcrest Memorial gardens with family and friends serving as pallbearers. The family will receive friends from 5-8 p.m. on Tuesday, Jan. 22, at the funeral home.